Mattress warranties have been a very popular subject at the Furniture Today Bedding Conferences thanks to my good buddy, Dave Perry, who continues to put that subject on the front burner. Due to the nature of the issue, it does not seem that this exposure on the subject with top executives is really getting us anywhere. And for good reason – it is a very tough problem to tackle. In a recent LinkedIn discussion thread in our group Mattress Industry Executives, there was a lot of talk about the good, the bad, and the ugly when it comes to warranties. So I thought I would weigh in as well. The problem, as I see it, is that consumers don’t really believe the long warranties that we place on our products. Is it logical to a consumer that a product they will use every night for 6-8 hours is really going to last 20 years? We also tell them they should replace their mattress every 7-8 years but the warranty supports a much longer life??!! 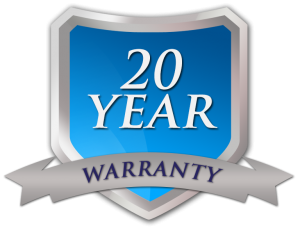 I get that the warranty is not really saying a mattress is going to feel good for 20 years, but isn’t that what the consumers believe to be the case? In having a warranty like this, aren’t we also making a very bold statement of confidence that our products are incredibly durable? Right there we have established the product promise, so the question is how do we live up to it? William Lee makes the comment on LinkedIn that if you read the online reviews, the industry takes a beating from consumers on how we break that promise by not living up to the warranty. If for some reason the product fails, we tend to put the consumer through a difficult process to make a claim on the warranty and put the products through, in some cases, a very subjective line of testing. (In part, because it is hard to apply science to this kind of thing unless you bring the product back for a full evaluation, which would be cost-prohibitive.) Have you ever had a problem with a product, an insurance claim, or something else where the company made you jump through hurdles just to get what you are supposed to have coming to you? How did you feel at the end of that? Is the answer to shorten the warranty and sell extended warranties? Jacqueline Flores from Mattress Industry Executives doesn’t think so because RSAs’ credibility is already in question. Should we expect a strong bedding brand to lead the way and just shorten their warranty, taking HUGE risk that their competitors won’t follow them, creating a significant disadvantage for them on retail floors? Maybe the retailer should lead, demanding that bedding brands shorten warranties if they want to continue to sell products on their floor. Don’t they run the same risk as the bedding brand if their retail competitors don’t follow? Barrie Brown and Allen Platek don’t think the retailer should have to make that call. If you are a bedding brand, make sure your claims process is consumer friendly. Most of you work your butts off making sure to produce great products. Remember that EVERYTHING counts these days, so if you fail on one or two (which you will; everyone does) and the consumer has a bad experience with you because you are not attentive to them in the warranty process, the negative word of mouth is very damaging and could hurt you much more than the cost to handle it right in the first place. Make sure your warranty process is one you would want your mother to go through. How is that for a filter? If you are a retailer, be clear in your training process that warranty does not translate to comfort life. Also, to close a sale based on a warranty is what weak RSAs do, and should be avoided. If you level set the consumer on the front end, there will be less disappointment later on should a problem occur. Suppliers – you must make good components. Be clear with the bedding brands about how long your materials will last, and feel comfortable to the consumer. If you are part of the body impression problem, then step up! I am sure I missed a thing or two, but I had to stop as I am well over my self-imposed 500-word limit. I am counting on you to fill in what I have missed, so leave your comments for me to share with the rest of the industry. Also, join the LinkedIn group. Start by clicking the image below. The warranty should be readable to the customer without all the ifs ans an buts , I would think that large manufacturers could use this to their advantage in the form of advertizing by comparing theirs to the other brand. It is only a matter of time before the consumer understands the diff. As for the RSAs make it part of their structure to be responsible for dealing with the customer complaint when they use the 20 year warranty as a sells tool, if they are not there then give the Manager of that store some of the burden. As a small factory direct manufacturer of 50 plus years I am responsible for all my complaints I am very thoughtful of what I sell as a warranty. Another good read…unfortunately things will NEVER change. Manufacturers are always out there to ‘out do each other’. The problem is that no customer believes any warranty so the longer they are the less likely a customer will believe it. You might be right James, thanks for the comment. I hope that someone does figure out a good way to change the warranty situation because as it sits, it is not a good thing for the consumer and really gives the industry a black eye. I am going to be optimistic here and say that it can change with the right leader in front of it. Realy good read… The warranty in the mattress industry is a very strange thing. I can’t agree with you more when you said, “to close a sale based on a warranty is what weak RSAs do.” Still, in my experience, the mattress with the better warranty usually does win on the floor; at least until the consumers has to go through the claims process and realize that warranties are not black and white after all. It seems to me that the warranty is a double edge sword. It helps a brand sell but it also can hurt its image if that mattress fails early. There are many weak RSAs in the field and warranty get a mattress sold often. Weak or strong, the warranty is an easy tool for the RSA to exploit. Lets face it, in this high-octane sales environment in which we lie, the RSA is often more concerned with getting something out the door. The longer the warranty the easier it is for the RSA to convince a consumer of the quality of a mattress at the point of sale. In the long run, the manufacturer has to stand behind the product. Short term a shorter warranty would be a painful pill to swallow for any manufacture. However, in the long run, it might be the road to stardom for those brave enough to try. Well said Daniel. We all have to support what happens at retail to make sure the rsa is covered in what they say to the consumer. We just need to make sure we are not over promising and under delivering. Thanks for reading! How did other industries get to a one year manufacturer’s warranty? The computer industry is as competitive as any industry, yet consumers have accepted the fact that unless they buy an extended warranty from the retailer, they have one year. The reason is because of the low margins in the computer industry. I believe that the reason our industry hasn’t gotten to this point is because we are all making enough money to absorb these returns. Once that goes away, you will see the warranties disappear. The realistic approach is to assume that mattresses will fail sooner than later and dealing with unhappy customers does a disservice to the mattress brand and customer. With that being a fact, the new standard should be to offer customers at the outset, a way to enhance their mattress by an under mattress support to restore the mattress when, not if, the mattress sags. Mattress manufacturers give away pillows, mattress covers and pads to sweeten the deal so why not get to the real heart of the inevitable problem and offer this solution to restore the firmness and look of the mattress. Less returns, less unhappy customers and less dumping in our landfills. A Mattress Helper is the answer.